She loves coffee, you’re more of a tea kind of dude. A date at her neighborhood Starbucks is out of the question, but don’t worry, we’re here for you. 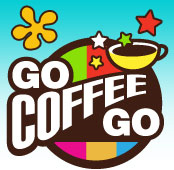 Introducing GoCoffeeGo, a San Francisco-based company with an expansive online catalog of coffees for more refined tastes. There is no bean we shall not grind, no coffee we shall not try. We must gulp and slurp them all! We are coffee adventurers. We sought to expand our “cup” and fill our Espresso machines, French Presses, Pour-Overs, Vacuum Pots, Moccamasters and yes… even a vintage Mr. Coffee machine with the ultimate beans from Super-Star Specialty Roasters throughout the country, who are known in their local communities as the “gods and goddesses” of coffee. Whether you live in a luxury Penthouse in a metropolitan city or a shack in the backwoods, you deserve access to great coffee. You don’t know jack about coffee, but that’s not a problem. The site offers award winners and members’ picks. You can now see further, standing on the shoulders of giants. All you really need to ask her is “light, medium or dark roast?” Then, upon receiving your order the next business day, just saunter up to her, pull out the coffee and ask, “your place, 6:00PM?” No self-avowed coffee fiend will be able to resist you. And you’ll have already have made it back to her place without even trying–sweet! If you’re really studious, you can read the section dedicated to the history of coffee and their tips for making a killer cup.